How AIR-INK is Capturing Air Pollution to Improve Health - GreenBuzz Berlin e.V. India-based company Graviky Labs is actively contributing to a reduction in global greenhouse gas emissions by capturing carbon emissions from vehicles and exhausts before they are able to enter the earth’s atmosphere. The KAALINK system is currently being commercially tested for certification and patent purposes but is already available for private demonstrations. It has been designed with heat-resistant and water-proof technologies making it suitable for use in different countries and climates around the world. It will be particularly applicable in cities with high vehicle concentrations and in areas where vehicle emissions standards are not in place or are poorly controlled. Initial results of the KAALINK system have been impressive as “1.6 billion micrograms of particulate matter [have been] captured, which equates to clean 1.6 trillion litres of outdoor air.” Soot particles released in diesel engines are particularly hazardous for humans and their health because they are extremely tiny. Generally, they measure 2.5 micrometres or less in diameter, making them much smaller than dust or mould particles, and are about 1/30th the size of a single human hair. Their microscopic size means they can then more easily enter the human body and travel into our lungs where they can result in serious harm and health problems. Therefore, any system which can effectively and successfully prevent and capture this pollution should be seen as worth developing and testing further. 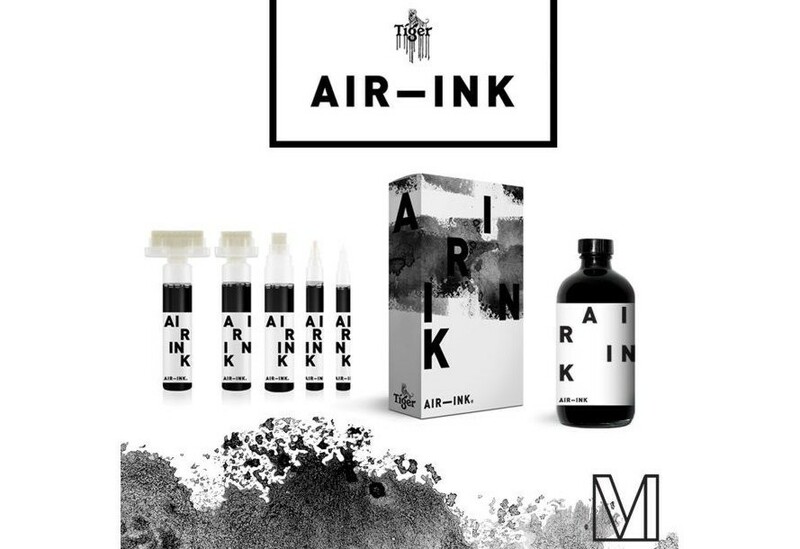 AIR-INK is also being promoted more widely in international events. One of these events is a panel discussion in Berlin, Germany on the topic of ‘Sustainable Advertising: Can Marketing Improve our Society?’ that is being jointly organised by GreenBuzz Berlin and 360 Agency Berlin. Free to attend, the event will be an opportunity for speakers from AIR-INK, the World Economic Forum (WEF) and Do You Green Paris to promote their work and products, share their sustainability insights and answer questions posed by audience members. Please register for the event here.